We Help Professionals and Organizations Through Change. Investing in People. Investing in the Future. Since 2009 Barton Career Advisors has provided innovative career transition, outplacement and workforce consulting solutions to organizations and individual professionals. Our goals have been simple and focused. Put people first and the results take care of themselves. Nearly 78% of our clients at all levels achieve their desired outcomes in less than 4 months. We would be honored to share our story with you and your organization. We can help with proven models and thought leadership. Having the opportunity to serve some of the top companies and professionals in our country is our greatest reward. Exciting News! The team at Barton Career Advisors is presently migrating to a new career transition portal! Existing clients will receive their new login by Monday, January 8, 2018! Don't have a login? Connect with us to get access today! 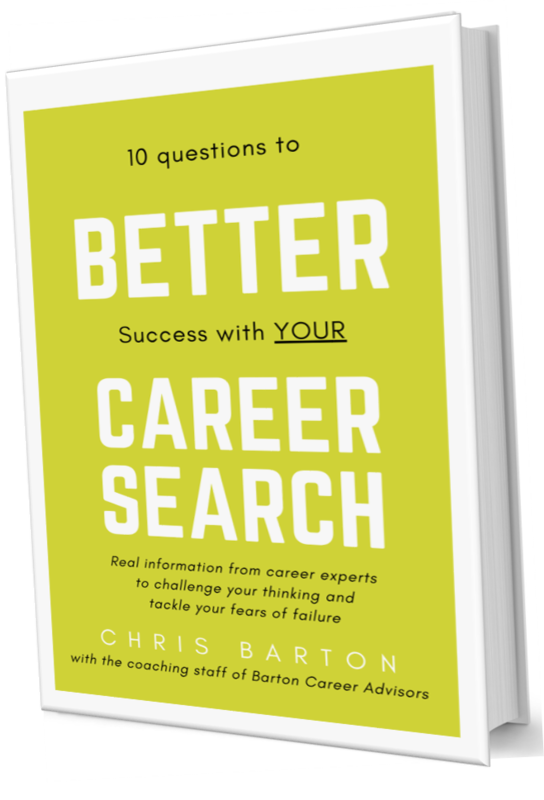 In our new eBook, Better Career Search, we provide real information from career experts that will challenge your thinking and help to tackle your fears of failure in your career search. Our coaching team is delighted to bring you this resource. Do not wait to get your copy! Click the book cover to buy for $7.95 or call us now to speak to a member of our team and ask how to get Better Career Search FREE!